When is Hawaii’s harvest season for coffee cherry (coffee fruit)? 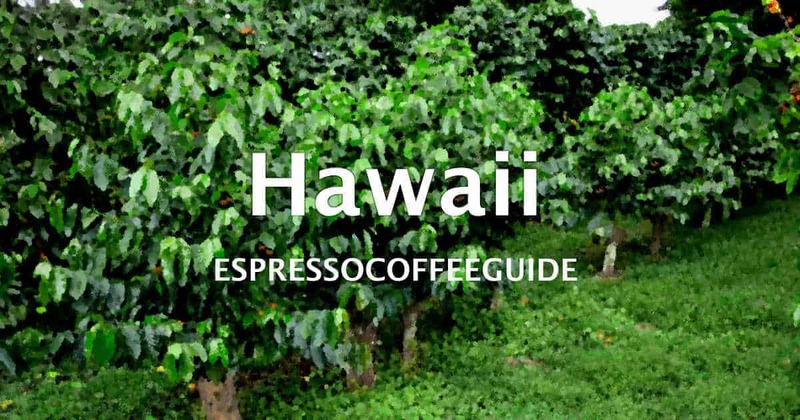 Is Hawaii the only state that grows coffee? How many coffee farms are in all Hawaii? How much is Kona Coffee? Should Kona Coffee be dark roasted? How many acres of land in Hawaii are planted with coffee? How much coffee do Hawaiian coffee farms produce? How much coffee is produced each year in Kona Coffee Country? The coffee may be harvested year round in the Hawaiian Islands, the primary season begins at the end of summer and may last until the beginning of spring. 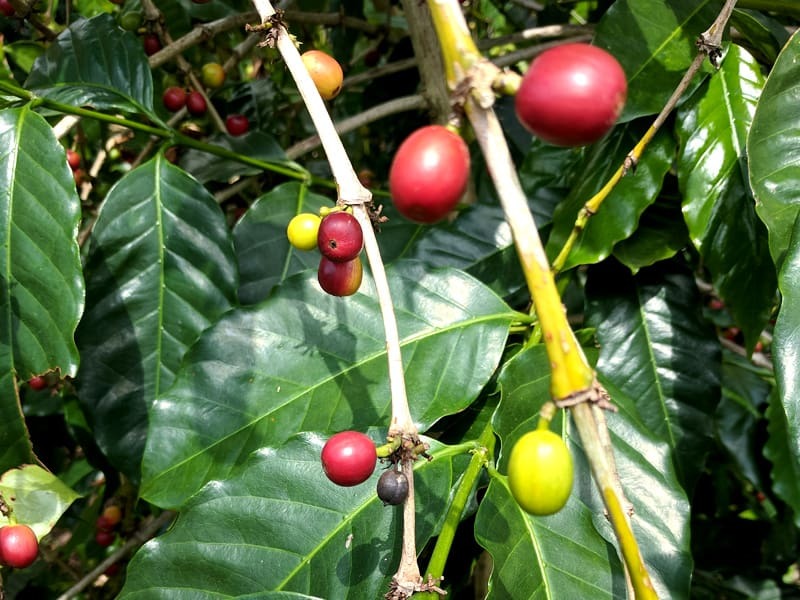 The number of harvests/crops that a coffee tree produces is tied to the number of rainfalls in the December – February season (Kona), with each rainfall causing flowering and subsequent coffee growth. Hawaii is the only state that grows coffee in meaningful quantities, thanks to its unique tropical climate. Puerto Rico produces a fair amount of coffee, with a cost similar to Hawaiian coffee and has seen some decent independent reviews. This may be jeopardized thanks to extensive damage to infrastructure and farms from Hurricane Maria in 2017. There are some hobby-scale farms in Florida and California that produce a few hundred (into a few thousand) pounds yearly, but these aren’t generally available on the national or international market and little is known about the quality. The Kona region has between 650 and 700 coffee farms, most just three to seven acres in size. With the decline and then complete end of the sugarcane era in the Hawaiian Islands there has been a recent move toward planting coffee as an alternative agricultural crop in many areas other than Kona. The other coffee farms on the Big Island include farms in the districts of Kau, Puna and Hamakua (about 40 farms) and on the other Hawaiian Islands (about 50 farms) including coffee farms on Oahu, Maui, Molokai and Kauai. The three biggest coffee farms in Hawaii include a 4,000-acre coffee plantation on Kauai, a 500-acre plantation on Molokai, nearly 200 acres on Oahu, and a 500-acre plantation on Maui. This varies depending on the coffee grade you’re looking for. Lower-grade coffees can be found around $20 per pound roasted, and higher-grade coffees are typically $35-$40 per pound. Lower prices as close as $30/lb can be achieved by buying larger quantities (5-10 pounds). 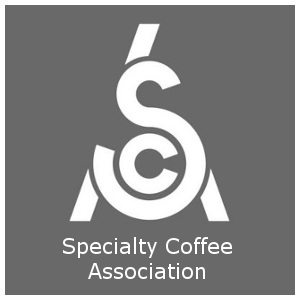 Kona certified green coffees will be $15-$25USD/lb depending on grade and whether shipping is included or not. Because of a lack of traceability, “Kona Coffee” sold on roadsides in Hawaii, and sometimes from distributors outside of Hawaii, is not actually certified Kona but a low-grade Hawaiian that doesn’t technically qualify as Kona. If you’re buying “Kona Coffee” at $20 or less, you’re probably buying mis-labeled coffee that isn’t Kona certified. Generally, Kona coffees are a high-quality coffee that should be roasted medium to bring out the best flavors, or medium-dark depending on your personal taste preferences. Unless roasted very dark by your request, coffee sold as “Kona” that are very dark are usually low-grade coffees that have been over-roasted to mask the defects (insect damage, mold, over-ripe, under-ripe). Total acreage of coffee grown in Kona is about 2,000 acres, while the total coffee acreage in Hawaii overall is about 7,800 acres and more than half of that is on islands other than the Big Island of Hawaii. The Big Island has about 790 coffee farms while the other islands only have about 40 farms including two very large coffee plantations, one on Molokai and one on Kauai. Coffee farms in Hawaii produce about 1,400 pounds of coffee per acre per year on average. A three to five acre Hawaii coffee farm may yield about 20,000 to 40,000 pounds of coffee fruit, which is known as coffee cherry. An average tree will produce about 22 lbs of coffee cherries, at a 14% cherry-to-green-coffee-bean yield (~3.5 lbs/tree). Up to three million pounds of green coffee beans (unroasted coffee beans) were produced each year in the Kona region around 2007. It was estimated for the 2013/2014 season that 2,400,000 lbs of green coffee beans were produced. A large amount of the Kona coffee crop is blended with other coffee beans (e.g., 90% Central American coffee beans mixed with 10% Kona Coffee beans to produce Hawaii Kona Blend Coffee), and thus there is an average of about twenty million pounds of coffee sold each year with the label of Kona Coffee (though much of it is more properly described as Hawaii Kona Blend Coffee). The State of Hawaii currently produces about seven to nine million pounds of green coffee beans (unroasted coffee beans) each year in 2010. As of the 2013/2014 season, this was 6,794,700 pounds of green coffee according to hawaiicoffeeindustry.com. The State of Hawaii has defined five different grades for green coffee beans (unroasted coffee beans): Hawaii Extra Fancy, Hawaii Fancy, Hawaii No. 1, Hawaii Select, Hawaii Prime, Hawaii No. 3, and Offgrade. For more information on these see Hawaii Coffee Grading. For more information see: Hawaii Coffee; Big Island Coffee; Kona Coffee; Oahu Coffee; Maui Coffee; Molokai Coffee; Kauai Coffee; Hawaii Coffee History – Kona Coffee History; Kona Coffee Farm Tours.